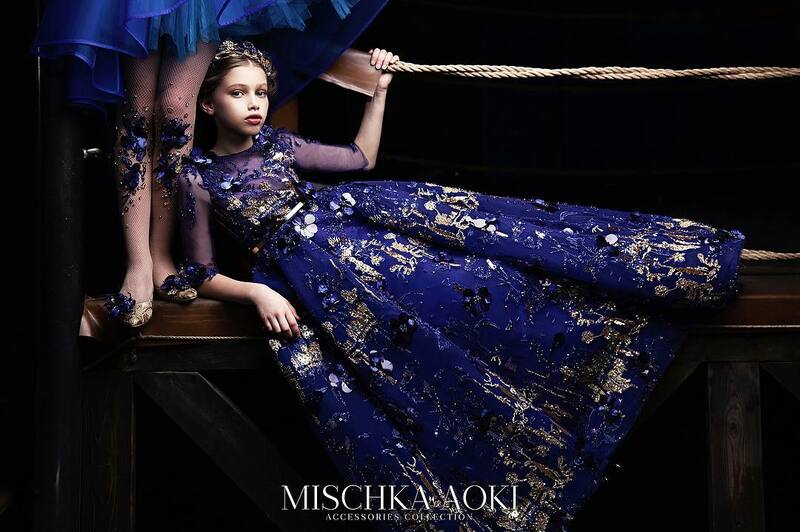 Luxury childrenswear designer Lazy Francis showcases a beautiful collection of party and special occasion pieces of fun to wear and vibrant hues with unique detailing. 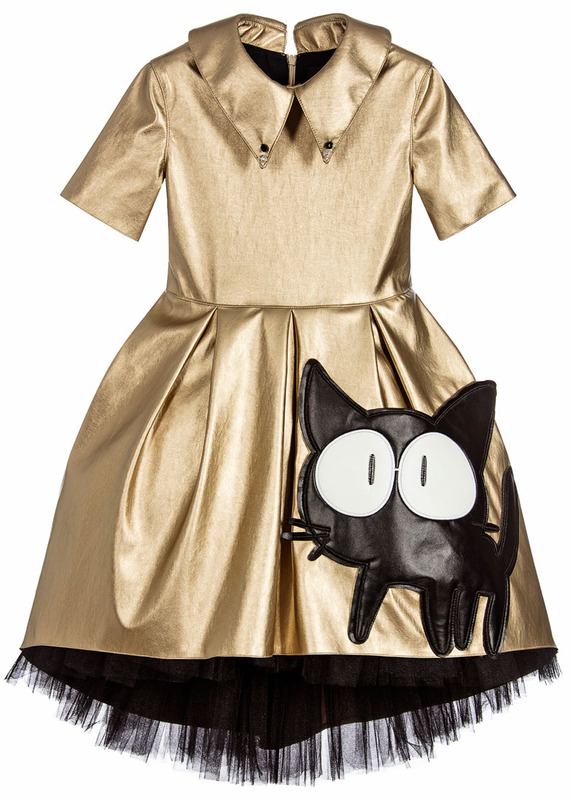 A fun and stylish soft synthetic leather gold dress by Lazy Francis, with a large black cat appliqué. 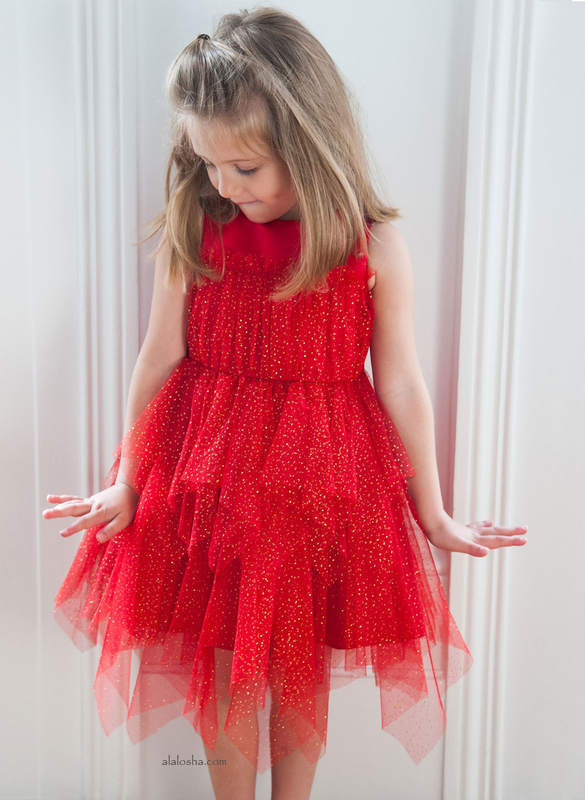 The flared skirt has pleats with tulle frills which add volume and hang below the hem for a dramatic look.